"WITH AJITH SIR'S SWAG, I AM SURE IT IS GOING TO BE MASSIVE"
The Surviva song from Vivegam, which released two days ago, was an instant viral material, which satisfied majority of Thala fans and music lovers. The song had Yogi B doing the rap portions, while Anirudh crooned for a small portion. Talking about the song, Yogi B says, "I am lucky and happy that 'Surviva' happened. Being a fan of Ajith sir and Anirudh's music, this collaboration is a phenomenal milestone in my music career. We have introduced a genre called EDM hip-hop for this single. It will be new and fresh for Tamil music lovers. I would like to immensely thank Anirudh for bringing me on board and giving me this wonderful opportunity to work with Ajith sir, director Siva and Satya Jyothi Films. With his music, my style of Tamil-English lyrics and rap with Ajith's sir's swag and irreplaceable screen presence, I am sure this song is going to be massive. Excited to watch it in theatres on the first day". DOP's who made Shankar's vision grander! It is not just first look and title check whats more on Vijay b'day! 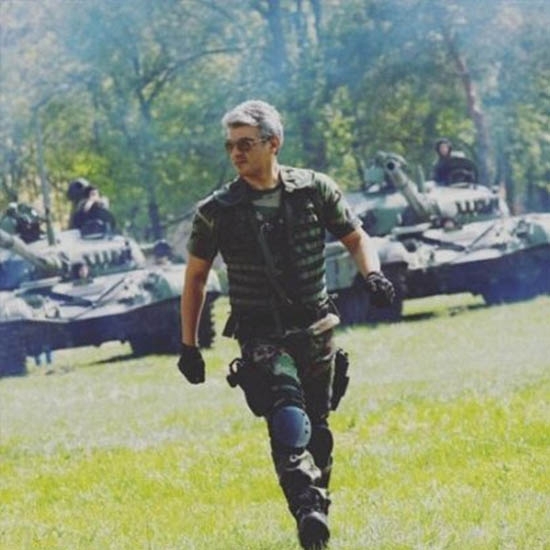 A surprising change in Vivegam! This page hosts a weekly slideshow related to Tamil movies. Each slide includes a picture and some description about that picture. All the slides will have a recurring theme. People looking for actress stills, actress images, actor stills, actor images, movie stills, movie images, and other interesting topics, relevant issues in Tamil cinema will find this page useful. "With Ajith sir's swag, I am sure it is going to be massive" | Top 10 News (June 18 - June 24).